Janai isn’t the fondest of birthday festivities, but since she was young, her sister has demanded Janai has the biggest birthday celebration in all of Xadia. Now, in her aunt-ish age and as the Golden Knight of Lux Aurea, Janai is happy to be able to spend her birthday how she pleases, roasting a few marshmallows over some lava at the border, surrounded by her dedicated soldiers. Now, you may remember that back in January, Viren forgot his own son’s birthday, but that doesn’t come as much of a surprise to those close to him, as he tends to be so busy he often forgets his own. Every year, Claudia, Soren, and King Harrow prepare a surprise party for Viren’s closest acquaintances. 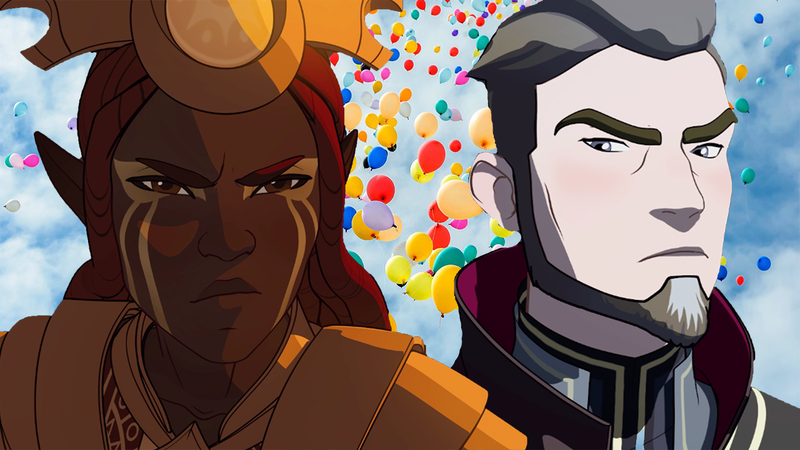 Your first thought might be, “Viren would hate surprise parties,” but on the contrary, these surprise parties make him feel warm and cared for, because they’re thoughtfully planned by his children and Harrow. He prefers the fanciest of desserts on his birthday: small, tart-sized dark magic crème brûlée, blow torched to perfection by Claudia, using a spell only she knows.